I finally bit the bullet , laid out the cash and committed the finances. 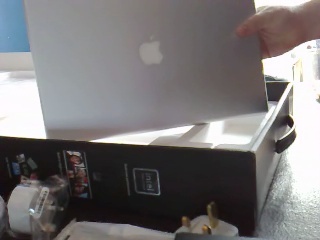 I bought an Apple Mac. Its been less than a week since it arrived and I felt it was time to blog a little about the experiences. Its not like I am new to the apple mac range, since I tend to recommend my clients purchase a Mac if they are serious about presentation or giving the impression of design and quality. 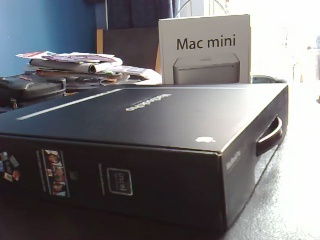 There is something about owning a Apple Mac which informs others that you have a commitment to something. Its all about that Brand thing again. Lets be honest here, there is not much I can do on a Mac that I cannot achieve on a PC running Windows and Ubuntu so why is it really that much different ? Allow me to use a hackneyed example. You can buy a Jaguar XJS or you can but a Ford Mondeo. In both carsd you can achieve the same results in terms of actions. You can get in , head to a destination, park up and arrive, Job done. So whats the point ? The point is you are going to enjoy the journey in the Jaguar. There is going to be a feeling of design and care which has gone into the production of the jaguar that makes you, the owner ,feel like its there for you. Your going to enjoy the journey and your going to look forward to using it time and time again. Of course like the Jaguar the Mac comes with a whole new way of thinking and doing. There are just so many different ways to get things done that I am still learning, or rather unlearning. I switched on the mac and it found and joined my network, my printers and my network drives. I attached my phone and grabbed the images into iPhoto and then edited movies in iMovie and uploaded them to my network attached storage and things just worked. Im not worrying about antivirus this or spyware that or printer driver CD the next thing. Im not looking at battery life in terms of minutes but in terms of hours ( 4 so far ) and Im not facing the occasional spinning , hanging , waiting for the next window to open because I have opened more than 4 applications at once. Also its based around a Unix type operating system so I have my needs met for the remote management and shell access that I get on Ubuntu. The webcam and flash player work as well, no problems not something to be said for an experience in the other operating systems. I am sold now, I am not going back I dont have time in my life to buy more Windows boxes or apt-get do-it-alloveragain more Ubuntu installs. Im just having too much fun getting things done. In firefox f5 refreshes the browser. in Safari cmd+r refreshes the browser.